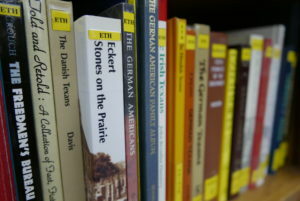 The Archives is one of the largest repositories of information chronicling the German immigration movement to Texas. The collections include photographic images, newspapers, oral history recordings, written records, government and church records, and genealogical information. Six major collections make up the Sophienburg Archives. All are open to researchers. 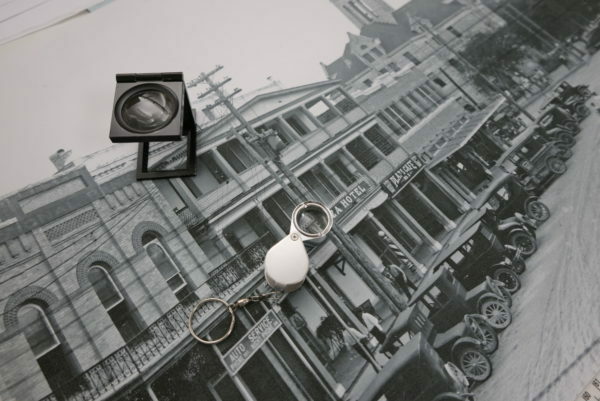 Our Photographic Collection has over one million images including original and copied photographs, slides, postcards, stereopticon views, videos, and glass negatives. Copies of images may be made for publications or personal use. Fees apply. Several other smaller area newspapers are also preserved, including obituaries, advertisements, announcements and literature. 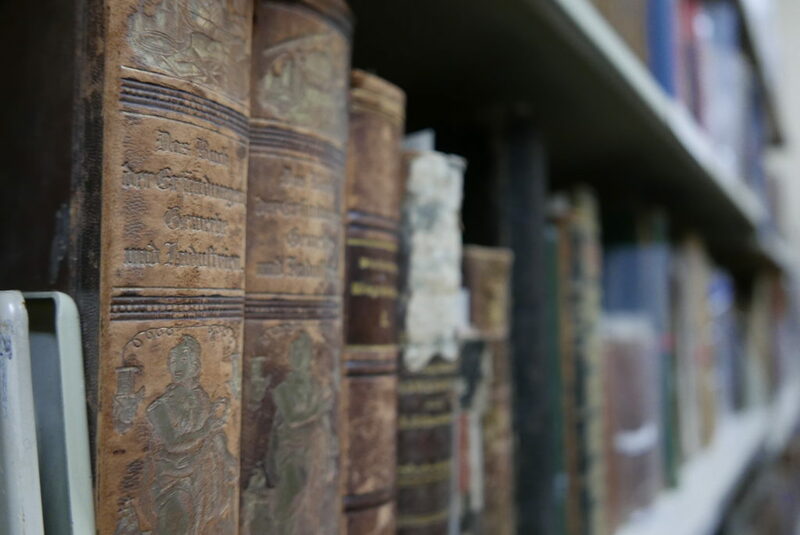 Research Library is comprised of books collected specifically on subjects pertaining to the history and cultural heritage of New Braunfels, Comal County and the surrounding area. 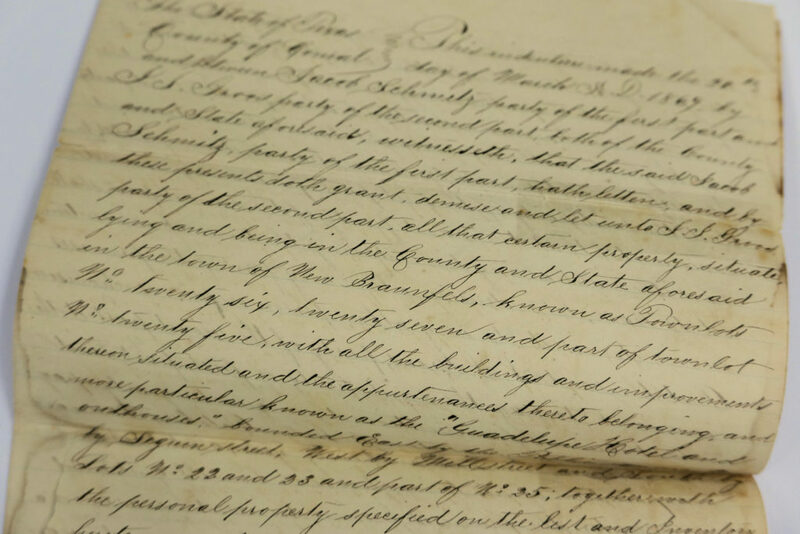 Letters and Papers Collection is comprised of personal and business correspondence, diaries, documents, deeds, minutes, advertising, etc., from 1844 to present, that are historically relevant to local families, businesses and organizations in New Braunfels and Comal County. 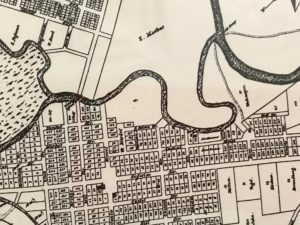 The Map Collection includes 1844 to present day examples of New Braunfels, Comal County, other Central Texas counties, local subdivisions, highway, street and business maps. 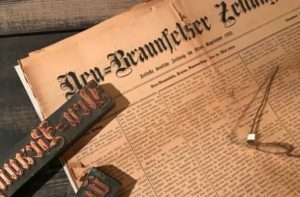 Rare Books preserves German and English language publications with subjects that encompass history, biography, geography, arithmetic, biology, general science, literature, religion and cooking.